Christmas Pillow Covers Just $5.99! Down From $30! You are here: Home / Great Deals / Christmas Pillow Covers Just $5.99! Down From $30! Until December 11 only! 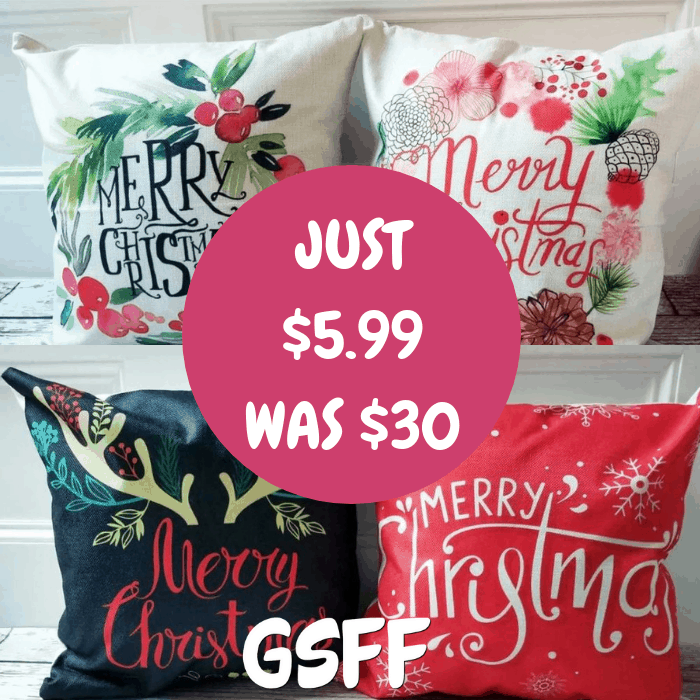 Jane is offering these Christmas Pillow Covers for just $5.99 down from $29.99! Shipping is $2.99 for the first item and $1.79 for each additional item. Decorate in style for the holidays with our fun vintage icons pillow covers. Please be sure you read the details – we want you to love what you get. Lots of styles to choose from. Over 100 styles!